I have only met a rare few neuro-researchers and other autism specialists, representing the scientific study of autism, who consult with me for my insights. I have noticed that though more and more of us nonverbal autistic people can type now I have not seen an increase in scientists trying to meet us. My book was sent to many neuro-scientists when it was first published, but few answered, and none met me. The puzzling thing for me is why this is. If I were a scientist researching autism, or a specialist treating autistic kids, or running a program for autistic students, and nonverbal autistic people who could communicate by typing began to emerge, I think I’d make an effort to meet them. I understand there are skeptics. I understand there is doubt, but I also know that ignoring things doesn’t change reality. I know that for those skeptics who attack as fake every autistic communicator who appears in the news, that it is also impossible for them to be certain of a person’s skills and abilities without seeing the person. So many of us now type without any tactile support. Many of us are eager to collaborate and guide research ideas, but only a rare few researchers ask. I have three dogs and if they go to the veterinarian with symptoms the vet must guess what is wrong because the dog can’t tell him. Many times we wished the dog could elaborate so the vet wouldn’t need to guess, occasionally incorrectly. Autistic people who are nonverbal have faced guesses too because of their long-time inability to communicate. Now many can explain symptoms but the “vet” doesn’t seem to be interested in asking. I believe our explanations for our symptoms are important in informing researchers in where to look for answers and how to better educate us. This entry was posted in autism research, autism theories, autism treatments, Communication, Uncategorized. Bookmark the permalink. I recently started my phd program for cognition and instruction, where I hope to develop more effective educational programs for autism. 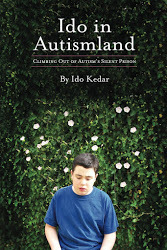 Your book, along with my observations/interactions owith my autistic brother, are the inspiration for my foundation. Do you mind if I consult you in the future? Best communicate, as he also has a visual impairment. And sometimes I worry about the subjective ness of our talks. Sure, I’m glad to help. Ido, my research is in the genetics of mammary development…a far cry from autism neuroscience, but after reading your book, along with Carly’s, Naoki’s and then finding the treasure chest of amazing blogs written by you and other autistic kids and adults, I have been inspired to get neuroscience training so I can focus more on autism research. After attending an autism symposium for local scientists, I felt like screaming “why not ask THEM what questions YOU should be asking?!”. I even wrote Michael Merzenich (the neuroscientist who makes an appearance in “a mother’s courage”) to ask why nothing more is happening with RPM and neuroscience, but he never replied. I am baffled, but I do think we are on the verge of some kind of breakthrough…we just need to gather enough inertia to make it happen. Keep it up, kid…you are a huge inspiration to people like me. Thank you for being a voice for many. I believe you are exactly right. I believe part of the reason the autistic community is not consulted often is that the vast majority of research is focused on genetics and early intervention, which is tragic. We need more research on how to support independence, communication and quality of life for autistic individuals throughout their life span. We need input from individuals like yourself. We need you to keep speaking out and we need to continue to reach out and advocate for more applied research. I think your blog is great – please keep writing! I”m also puzzled about this lack of inquiry. As a psychologist, I consider those of you who are writing about your experiences to be the ultimate experts who can guide parents, teachers, therapists and of course, researchers! I am confident they will eventually seek you out and listen, so please stay hopeful and continue to educate us. Please feel free to contact me about your conference. Maybe I can help. Thank you so much! I would so appreciate your help. Please email me at your convenience and I can tell you more about it. 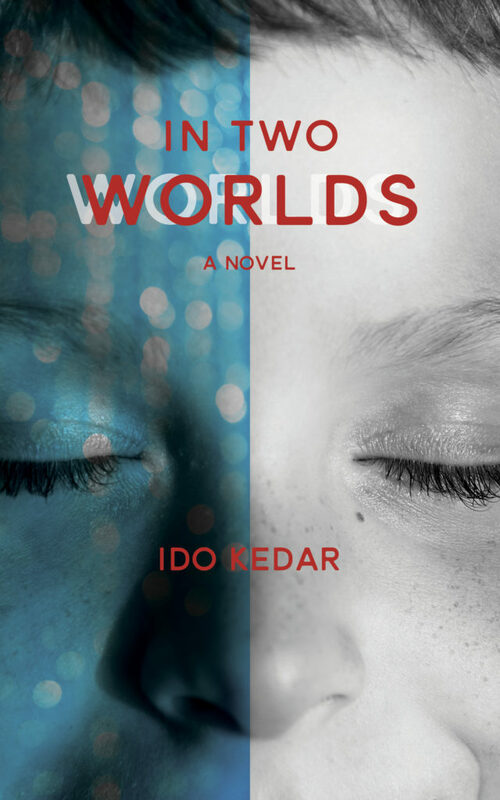 Hi Edo-your book along with Naoki’s and Tito’s have made my wife and I more determined than ever to release our autistic grandson ,Ora, from the silent prison. We have cared for Ora from birth and now in his 20th year we have begun facilitated communication.Ora’s answers to questions are giving us new insight into his thoughts . It’s quite emotional for us and we wish we could have started it earlier. Down here in New Zealand the so called experts cast doubt but offer no evidence supporting their view. We are excited and will continue. Thank you Ido. We are using an ipad with the Proloquo2Go app. What App do you do use? I keep on wondering when this new-found knowledge will take effect, and why there haven’t been worldwide newscasts broadcasting quotes from real autistic people. It is HUGE to hear actual insights from people who have autism and are finally able to tell us about it, to answer the questions so many “experts” have been asking and to offer advice! I now cringe every time I hear or read about young adults with autism being forced to do simple puzzles , matching colors, counting to 5, etc. I hate reading articles that say things like, “At the time she didn’t recognise her name or understand any sort of command”. People are just assuming that because she didn’t respond to their commands that she doesn’t understand them. I get that it seems that way, but with all this new information, people should be realizing that she probably does understand everything that is said to her. I am trying my best to spread this message to as many people as I can, but it is hard finding people willing to listen. However, I am sharing your blog and your story along with Carly’s and any others I can find, whenever possible. Keep on writing Ido! !